Chemistry professor gets invite to be member of the editorial board of an Iranian academic journal - an offer which she accepts. 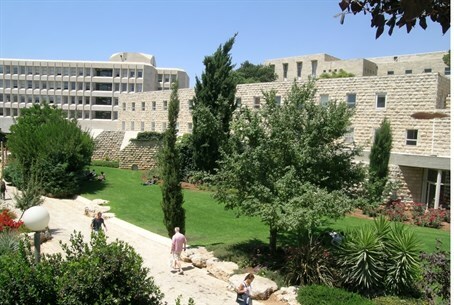 An Israeli professor has been invited to be a member of the editorial board of an Iranian academic journal, the Jerusalem Post reported Sunday. Hebrew University of Jerusalem Chemistry Prof. Renata Reisfeld was invited to become a member of the editorial board of the Tehran-based International Journal of Environment, Energy and Waste. Reisfeld reportedly accepted the offer, the Post said. Reisfeld, Professor of Chemistry and D.H.C. Enrique Berman Professor of Solar Energy at Institute of Chemistry at Hebrew University, is the author of 531 scientific papers cited more than 15,000 times. She has been awarded a slew of academic honors in Israel, from her native Poland, and from universities throughout Europe.